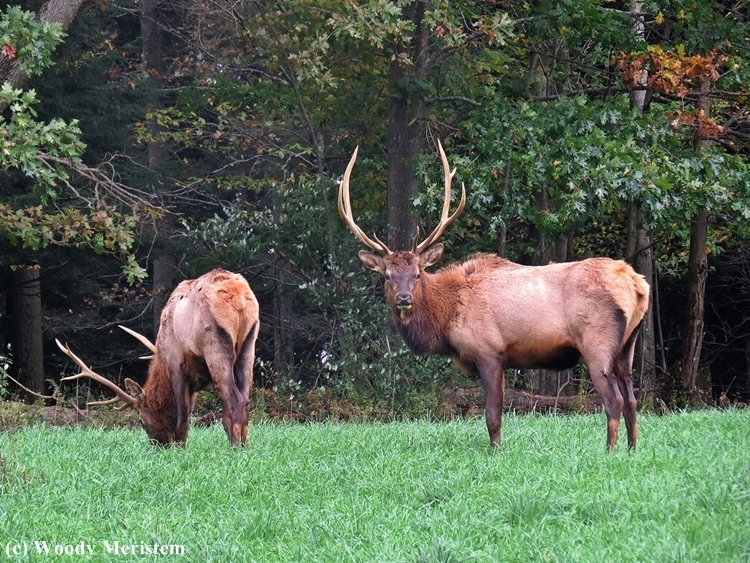 Bill had never seen elk in Pennsylvania, so he and I headed west on a day with a stiff breeze. 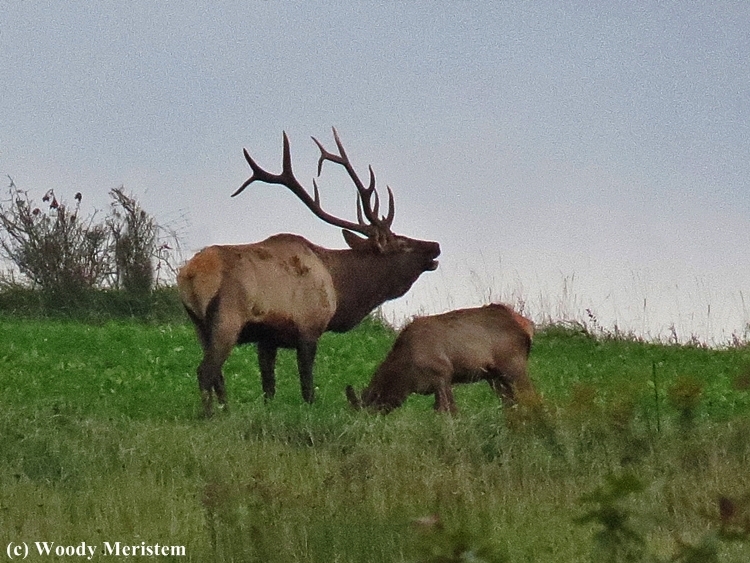 We’d left early and saw elk before the sun was above the horizon, a small band of cows bedded down in a field with a bull feeding where the field met forest. 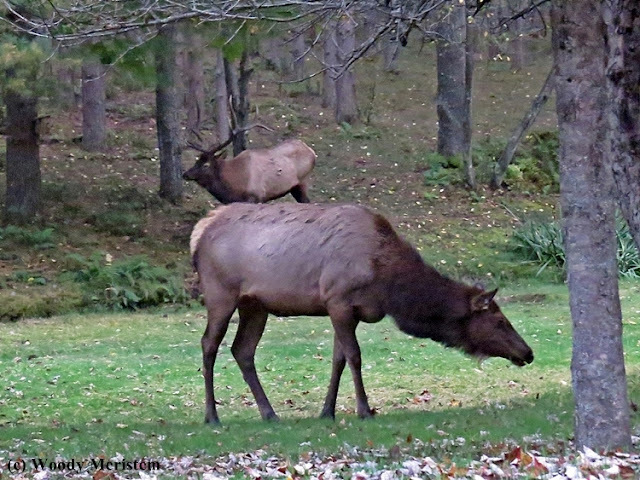 It was too dark for photos, but Bill did get to see his first Pennsylvania elk. 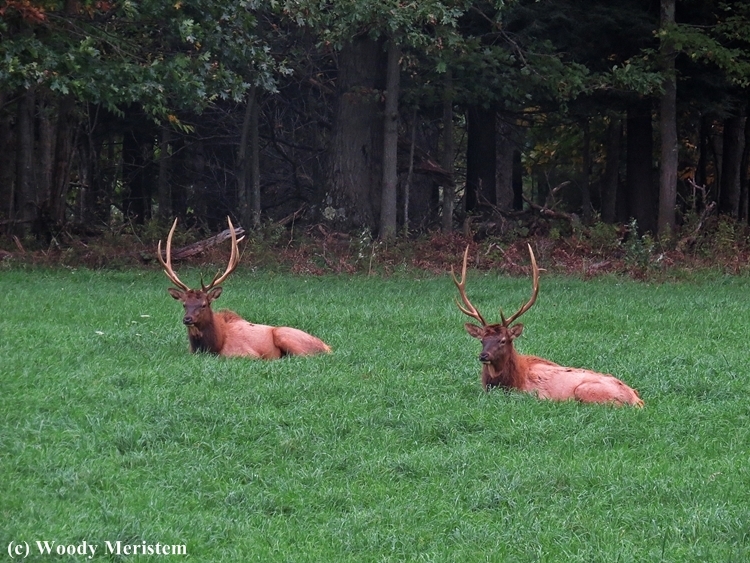 As a few people moved closer, the young bulls alerted but relaxed again as the people left. The young bull was apparently startled into flight by the approach of a much larger bull that was said to be in the forest – unfortunately we never saw that large bull. It was almost dark when we found a band of cows and calves with a bull in attendance. He was larger than the two young bulls we had seen earlier but still not as impressive as some of the bulls that were found in the area in years past. 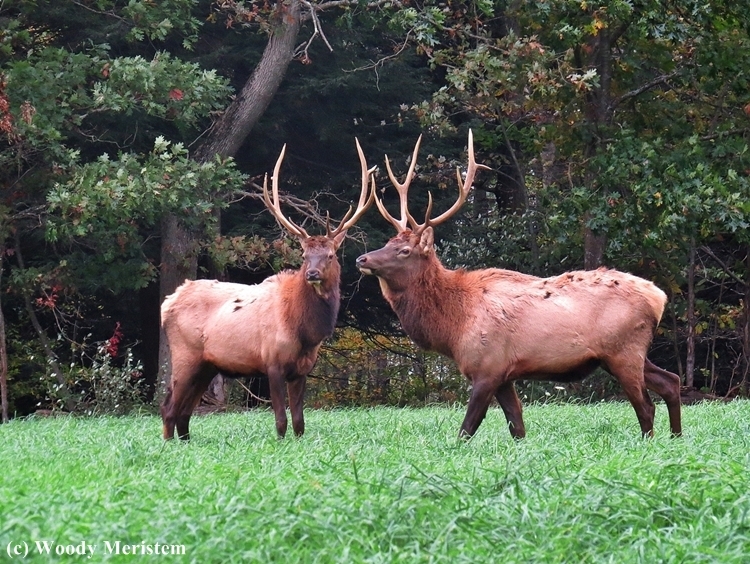 The advent of a hunting season for elk in Pennsylvania and the targeting of the larger/older bulls by those providing guide services for hunters has reduced the opportunities for elk viewers and photographers to enjoy those older animals. The consensus among elk photographers, especially the “regulars”, is that the low pregnancy rate (50-60%) among elk cows is due to the elimination of what would be the most dominant bulls. 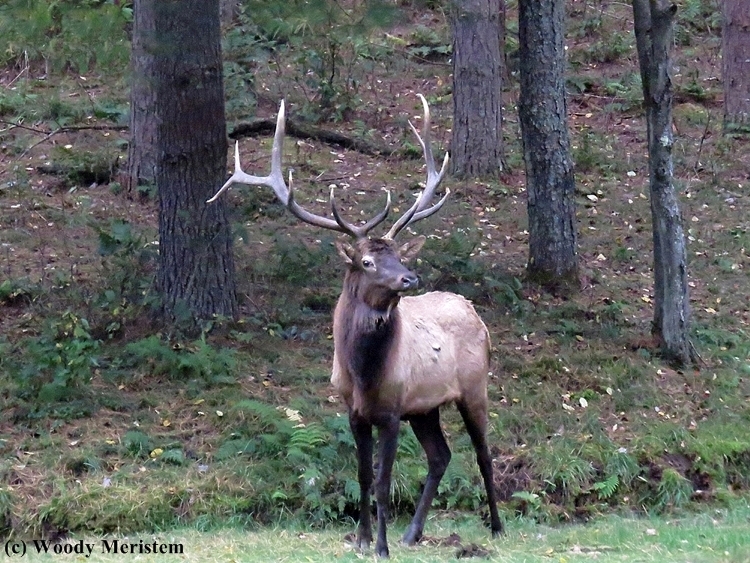 Therefore the breeding is being done by inexperienced young bulls that are spending excessive amounts of time trying to exert dominance over their fellows and not enough time attending to receptive females. There may be another factor, or combination of factors, for the low pregnancy rate of Pennsylvania elk. The Game Commission is trying to determine the reason, but if it is connected to the hunting season we may never know unless hunting is curtailed. That is amazing to observe the nature. You were quite close to them. The Elk is a great looking animal. Quite similar to our Red Deer. Great to see the bulls and those antlers. 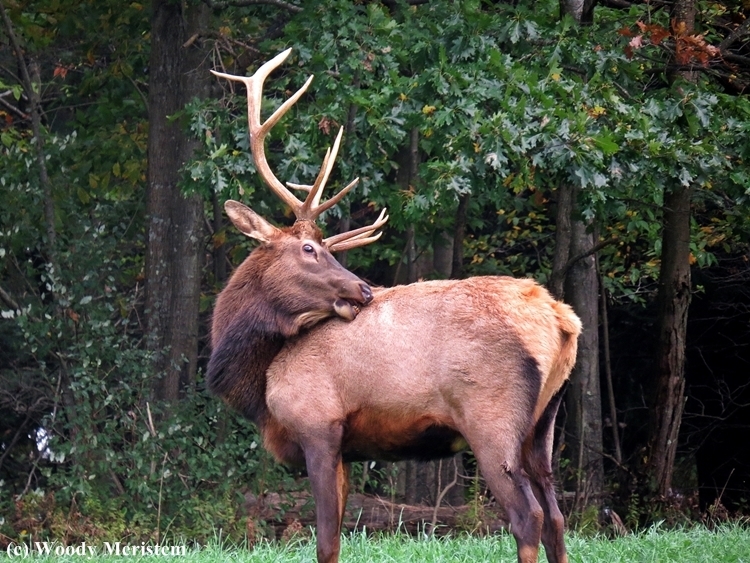 Hello, wonderful post and photos on the elk. The bull is handsome. Thank you for linking up and sharing your post. Happy Saturday, enjoy your day and weekend. Absolutely exquisite! I would adore seeing these in real life but enjoyed your photos so much!